Much to my dismay, we can’t ride around in the Jeep with the top down all of the time. Because here in Franklin, Tennessee it gets pretty chilly from October through March each year. Still, we couldn’t be happier with our Jeep(s), and we’ve had a lot of great times — top up and top down — in both our 1990 Jeep Wrangler YJ and our 2004 Jeep Wrangler Unlimited TJ. Top Up? Or Top Down? And then each March, we catch ourselves taking the hard top off the Jeep… usually just a tad too early. The whole hard top / soft top switcharoo was something we stopped dealing with when we sold our 1990 Jeep Wrangler YJ and got a a 2004 Jeep Wrangler Unlimited TJ instead. Now, we don’t even own a hard top anymore. We just ride around with the soft top — either UP or DOWN. 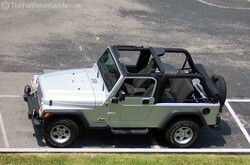 Summertime or wintertime… the Jeep soft top wins hands-down! 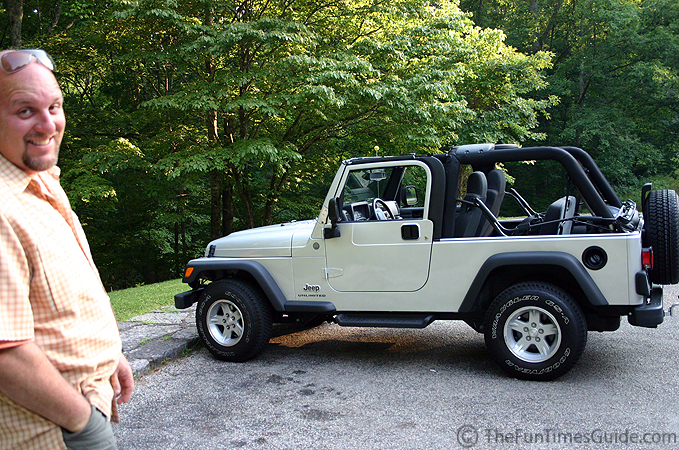 Soon after we got our Jeep Unlimited, we quickly learned that there were a few tricks to getting through the whole process of removing the Jeep soft top. Watch our video about soft top removal here. 1. Learn how to clean Jeep soft top windows, including the best products to use on Jeep windows. 2. Then, after you clean them, you’ll want to read these tips for protecting your Jeep windows. 3. 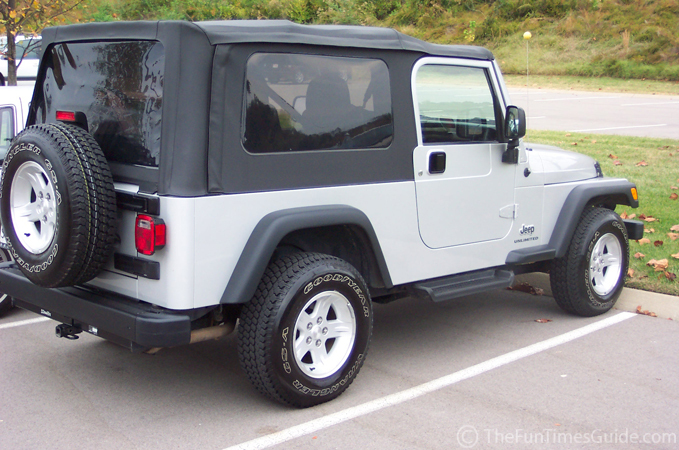 Finally, check out these suggestions for prolonging the life of your plastic or vinyl Jeep soft top windows.